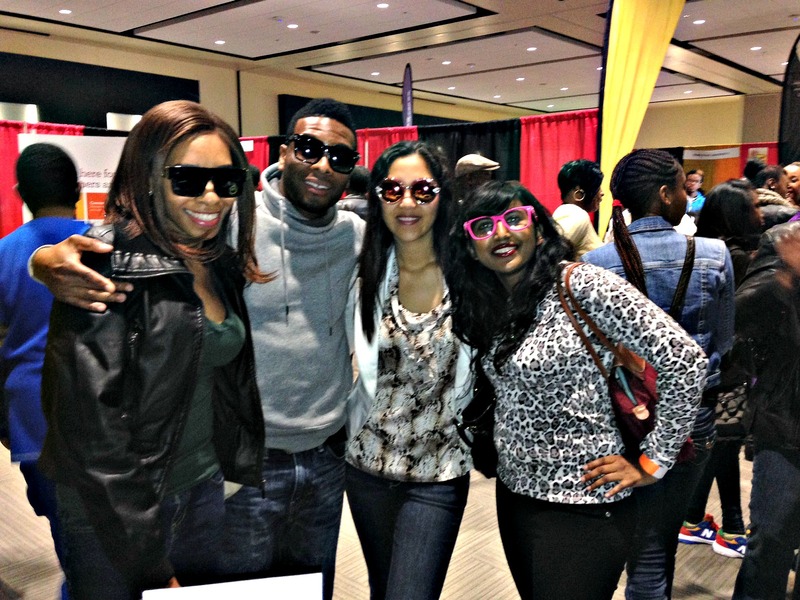 Chardae, Kel Mitchell, Sion, and I modeling Asia Lee’s hot celebrity shades! Last weekend, was..AWESOME. 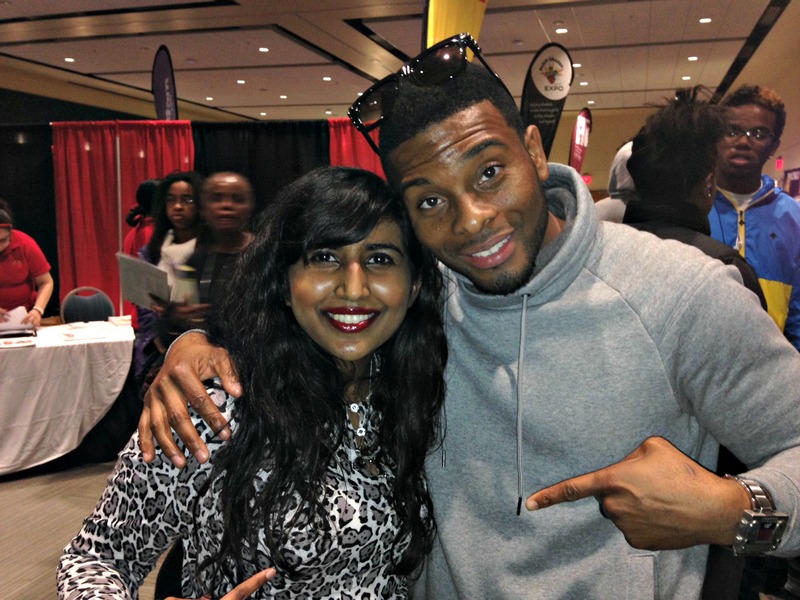 My closest girlfriends and I hung out with my favorite Nickelodean actor, Kel Mitchell at the Black College Expo in Bowie University. Before this wondrous day, I watched old “All That,” “Good Burger,” and “Kenan and Kel” clips to prepare. I honestly had no reason to prepare. We were simply going to hang out with him for a little bit but the “pre-teen” in me was nerding out before the big day. Bowie University is a large campus. It’s so easy to get lost but we somehow found our way. Kel and his lovely wife, celeb-shade designer Asia Lee, were ensconced by notable HBC universities. Kel was often beset with kids, pre-teens, and adults who were just as excited as we were to meet him. 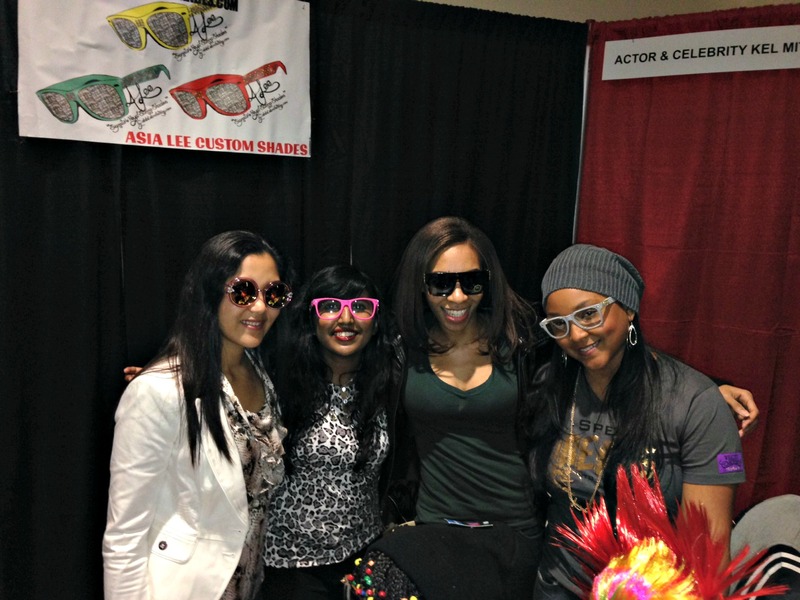 Sion, me, Chardae, and acclaimed eye-shade designer Asia Lee. Although we were super excited to meet Kel, our initial attentions gravitated towards Asia Lee’s unique shades. Chardae loved the ones with gold spikes aligned on the sides and since I was wearing a leopard print shirt, I was all about the pink shades. Sion had stars in her eyes and latched on to the opulent pink shades that framed her face and highlighted her blazer-suit-ensemble nicely. Naturally, we had to buy a couple pairs. We heart the fact that Asia Lee is a female entrepreneur who not only started her own business from scratch but makes inimical shades at an affordable rate. For $10.00, you can feel like a celebrity in a Lady Gaga or a Beyonce music video. Cool, huh! Roar! 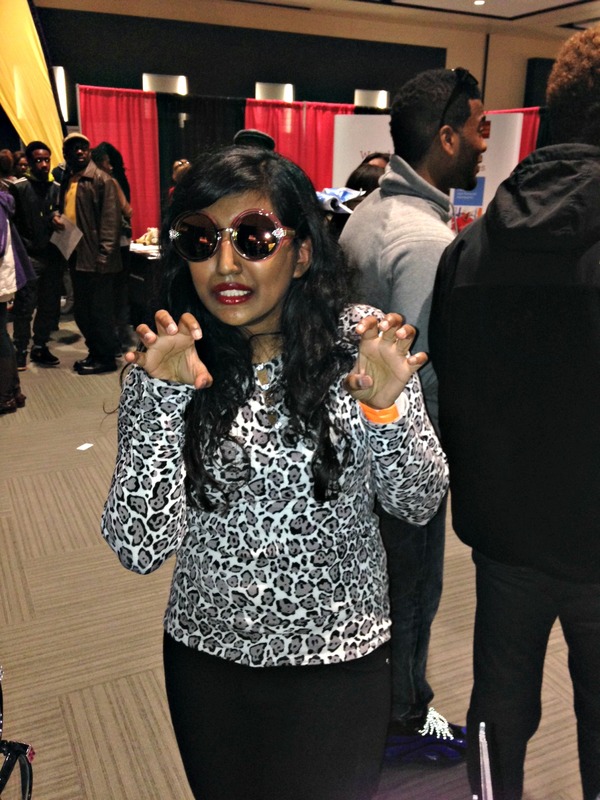 I’m fierce in these shades! Since I am deeply brown, no one could see me blush crimson red. I was initially nervous when it came to meeting Kel, since he is my ALL-TIME favorite Nickelodean actor, but after getting to know him, I feel like he’s an old friend. He’s humble, kind, down-to-earth and so easy to converse with. Sion and Chardae had a wonderful time chatting with him about his new movie opening up later this year where he plays a corrupt politician. It will open up nation-wide and I highly recommend you watch it. As I said before, I “nerded it out,” the previous night, by watching copious amounts of Kel’s skits. My favorite skit of all times is of him declaring his love for orange soda. I shyly asked him if he could act it out again. He was so sweet, he said I can act it out with him. I squealed like a little middle schooler at this opportunity. Sion offered to film this interaction for my blog, which is a first. I never acted in a skit with a celebrity I hearted before! After four failed attempts, we got it down. Kel was very patient, of course, but it was a surreal experience to say the least. Overall, meeting Kel was a wonderful experience. He’s a genuine person who keeps it real and does it all for the kids. Plus, his wife Asia Lee makes AMAZING shades!